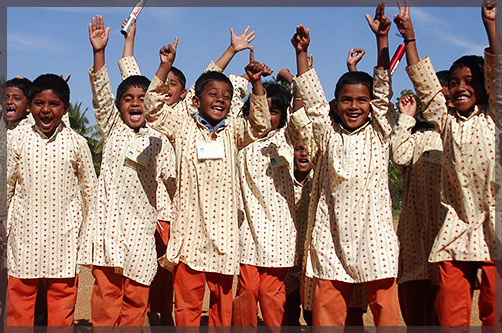 Isha Vidhya, an Isha Education initiative of Isha Foundation, is committed to raise the level of education and literacy in rural India and help disadvantaged children realize their full potential. The project seeks to ensure quality education for children in rural areas in order to create equal opportunities for all to participate in and benefit from India's economic growth. With English computer based education, complemented by innovative methods for overall development and blossoming of each individual, Isha Vidhya Schools empower rural children to meet future challenges. 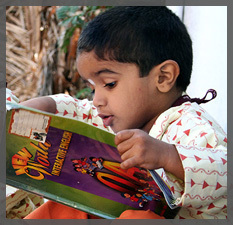 Scholarships for the underprivileged children ensure that affordability is not a hurdle. Sadhguru's intention and goal is to start at least one English medium school in each of the 32 districts in Tamil Nadu and through them, intervene in the Govt. schools around them to raise the quality of education in the Govt schools as well. Isha Vidhya currently operates 9 schools ( 8 in Tamilnadu and 1 in Andhra Pradesh) with 5200 students of whom 56% are on scholarship. The rest of the students pay a nominal fee. Each school will support 1100 students when completed. With the experiences gained, Isha has also adopted 31 Govt.schools in 2012-13 with 26843 students, who will benefit from critical interventions that will make a dramatic impact on the quality of education in these schools. Isha Vidhya offers several opportunities for committed individuals and socially responsible corporations to participate in this endeavor - from providing capital to set up the infrastructure and sponsoring students, to contributing towards various other facilities and equipment, such as computer labs, sports facilities, transport facilities, library books or sponsor nutritious noon meals for the children, etc. You could also sponsor the initiatives at an adopted Govt. school or the salary for badly needed additional teachers in these schools. Our combined initiative and support will make all the difference in the life and future of rural children for whom a quality education is the only ladder that could help them and their families climb out of the abyss of poverty. Preserve village identities and culture.